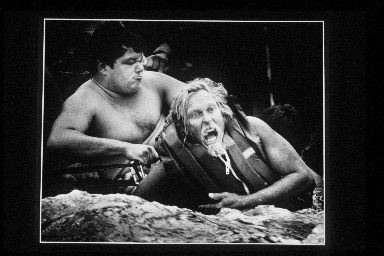 Richard Jacobs reacts as his foot is broken when rescue workers freed him from his entrapment in the Rappahannock River. His foot was stuck under a rock for two hours. Robert A. Martin, "Yanked Free," in POYi Archive, Item #18027, http://archive.poy.org/items/show/18027 (accessed April 18, 2019).